The December Season in Chennai boasts of well nigh 2,500 concerts. The fact that mostly grey-haired individuals attend these events has been a cause for concern for several years now. In an attempt to reach out to a broader audience, sabhas have taken the approach of explaining various aspects of Karnatic Music through lec-dems. The Academic Sessions at the Music Academy have been a pioneer in this field though they are primarily oriented towards discussing theoretical aspects of ragas or analyzing composers who are not very well known. It is in this context that Karnatic Music Forum (KMF) has been sponsoring lec-dems. Convened by Dr S. Sunder, KMF has been active in the field for two decades, presenting concerts, thematic concerts and lec-dems at various venues through the year. For the last four years though, KMF has been presenting lec-dems during the December Season; and for the last two years, Sruti magazine has associated itself with this noble effort. At this point, I want to say a few words about the reach of these lec-dems. Some of the lec-dems are evanescent; you have to attend the lec-dem to know what is being talked about. Recording of the proceedings is frowned upon and you walk away with what you can retain in your memory. This has been the case with the majority of the sabhas. The next level is where the organization records the proceedings and makes it available to the public through its archives. For the last several years this approach has been taken by the Music Academy. This does limit the reach of the lec-dems because one has to take the trouble to go to their archives when it is open. This may conflict with the schedule of working people. The third approach is to make the lec-dem available through on-line archives. KMF has been following this policy for years and its programmes can be viewed at www.musicforum.com. This makes it possible to time-shift the lec-dem to a time more convenient for the viewer and also provides the ability to pause, rewind, and repeat parts of the lec-dem. A new initiative this year, Parivadini, webcast several programmes; this enables viewers in different locations to view the lec-dem in real-time. Parivadini uploads its recordings to youtube creating a permanent archive that can be accessed from anywhere in the world at any time . Parivadini maintains its own youtube channel, with easy-to-locate recordings. You can subscribe to this youtube channel and be notified of new recordings too. This year, the Lec-Dem Mela was held at Srinivasa Sastri Hall in Mylapore for four days starting on 13 December. The Mela was inaugurated by R Thyagarajan, Chairman & Managing Director of the Shriram Group, and patron of music. Dr Sunder and V Ramnarayan, Editor-in-Chief, Sruti, spoke briefly about the purpose of the Lec-Dem Mela. The first lec-dem that followed was titled A Samarpanam to Sri Lalgudi Jayaraman. The easiest way to get to a good kutcheri is by an autorickshaw. No need to worry about parking spaces. No need to worry about signals on the main road because if your Google map shows you the route to your destination, your Auto Anna always has a better route. No need to haggle your head off before or after a wonderful (or not so wonderful) concert because now you have the meter as well. So the protagonist of every concert is an autowala! Why? Because he knows the in and out of all the sabhas! He knows the ‘out’ of every sabha, but does he really know the ‘in’? It was two days before my concert at one of the Chennai sabhas. I took an auto from T.M Krishna’s concert. It was late and I could say that my Auto Anna was really tired. Before I opened my mouth to ask, he answered. I was almost home. I got down, paid and gave him an invite and asked him to attend my dance. He said he would try if he didn’t have a savaari at that time. This Auto Anna really disturbed me. I didn’t share the incident with anyone but I had a dream that night. It was a huge sabha. I could feel the tension because the slot was mine. I could see the parking ground of the very prestigious sabha.And LO! It had only Autos!! Here’s the dream inspired by my dream: The next Touching Society initiative of my school Bhakti Natya Niketan will be a show for the autowalas of Coimbatore before June this year. Wish us success! If you can make it to the show, do take an auto! A rude shock awaited a group of rasikas who went to attend the four o clock senior slot concert in one of the oldest and prominent sabhas in Mylapore. The person at the ticket counter refused to sell tickets as they were sold out even the previous day. A peep into the hall revealed that there were hardly a hundred people in the auditorium with a capacity of over a thousand. The second concert for the evening was a sellout and the sabha refused to let anybody attend the first concert. In fact the sabha issues separate tickets for the two evening slots unlike some other sabhas where one common ticket is issued for both the evening concerts. The group pleaded that they were the family members of the musician and wanted to buy the tickets for his concert alone. They requested to be let in and assured that they would leave as soon as the first concert ended. “The family has already come and has gone in. We cannot allow you” jeered the sabha official. At this the leader of the group insisted that they were indeed the family members and demanded to be let in. Still the official refused to sell any tickets to them. The group would not budge. Finally he asked one of them to march behind him. “Others stay at the gate and do not follow me,” he warned. He walked onto the stage where the musicians were already seated on dais and were doing a sound check behind the curtains. The bewildered musician identified his own cousin who was brought in like an impostor trying to sneak in. Grudgingly the official suffered the group to occupy the seats and departed after warning them once again that they had to leave at the end of the concert. Evidently the few others in the hall were either members or season ticket holders who had come to attend both the concerts. Discourtesy of this kind is an insult to the musician as well as the rasika and has never been encountered in any of the hundreds of sabhas in the city. Other sabhas manage such situations either by clearing the hall for each programme or punching the tickets of the audience already seated during the first programme. I heard the vocal concert of GNB for the first time in my uncle’s house on the occasion of a marriage celebrated at Malleswaram, Bangalore. My guru Chowdiah played the violin and Palghat Ayyamani Iyer was the mridangam accompanist. GNB was perhaps 30 or 35 then. Chowdiah liked him very much. GNB used to call him Soundiah! In course of time, many concerts of GNB took place with Chowdiah on the violin. His concerts with my guru were always a grand success. He always desired to have Chowdiah, who loved the fast tempo, as his accompanist. GNB had a bracing, resonant and impressive voice. His style was rich with brikas. In course of time he had some difficulty with his voice in the shadja. Chowdiah was very cooperative in covering up this deficiency and so his concerts were of a high order, successful and popular. Whenever my master was not available his disciple V. Sethuramaiah (7 stringed violinist), Lalgudi Jayaraman or T. N. Krishnan would accompany him on the violin. GNB was an expert in singing rare ragas. Emanipogdudura (Veeravasanta), Ragasudharasa (Andolika), Needayatoda (Vasanta Bhairavi), Atukaradani (Manoranjani), Aparadhanlulanorva (Rasali), Vasudevayani and Nidhichala (Kalyani), Etavunnanerehitivo (Yadukula Kambhoji), and Neevera Kuladhanamu (Begade) were some of his favourite compositions and ragas. Generally he sang pallavis in the slow and middle tempos. He would not miss singing tillanas and javalis. He used to sing some of his own compositions like Sadapalaya or Ranjaniniranjani, which are beautiful pieces. GNB had great respect for Ariyakudi Ramanuja Iyengar and his style. On one occasion when Iyengar’s concert took place under the auspices of the Parthasarathi Swamy Sabha, Chennai, the organizers requested GNB to speak a few words in the end. Speaking with admiration and humility, GNB said, ‘It is not possible for anyone to sing in his style. He is the emperor of musicians.’ The joy of the audience knew no bounds and there was continuous clapping for five minutes. 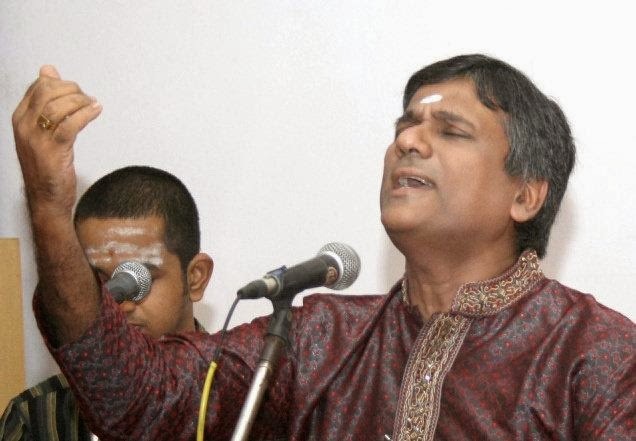 During that concert, Ariyakudi rendered the pallavi—Dasaratha Bala Ramachandraiah Dayanidhe in raga Bhairavi —a four-kalai pallavi, very popular in those days. I have heard many musicians rendering this pallavi in the same raga in three tempos. But GNB changed it into two kalais, rendered niraval, and then made room for the percussionist to play the tani, thus establishing a new tradition. He used to sing creative swara phrases in two kalais, and was adept at singing tukkadas like Dikkuteriyadakaattil and others in ragamalika to the great joy of the audience, especially the younger generation. GNB played the lead role of Dushyanta in the famous Tamil film ‘Sakuntala’ in which musician M. S. Subbulakshmi was the heroine. He played a major role in the films ‘Bhama Vijayam’ and ‘Sati Anasuya.’ He also acted in the film ‘Udayana Vasavadatta.’ I have seen all these films and enjoyed them. GNB was the son of G.V.Narayanaswamy Iyer, a music lover and Headmaster of Hindu High School, Triplicane, Chennai. He studied in Westerly College while learning music under his father who himself was a disciple of Karur Chinnaswamy Iyer and Madurai Subramanya Iyer. He obtained his B.A.(Hons.) in 1929 and Diploma in Music from the University of Madras. Though he was a graduate in English Literature, he opted to become a professional musician. GNB is one of the prominent composers of recent times. He has composed 250 compositions in Sanskrit, Telugu and Tamil which have been published in the form of two books. He has invented ragas like Chandrahaseetha, Sivasakhi, and Amrita. GNB became the Royal Court Vidwan of Travancore in 1939 and of Ettayapuram in 1941. 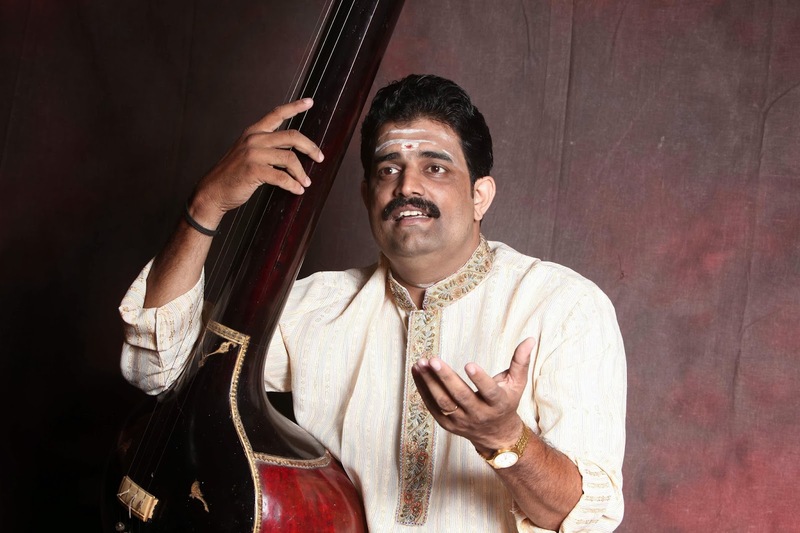 He was the deputy chief producer of Carnatic Music A.I.R., Chennai and served as the Principal, Swati Tirunal College of Music, Tiruvanantapuram. The Chennai Music Academy conferred on him the title of ‘Sangita Kalanidhi’ in 1958. GNB had a graceful personality and ready wit. A large number of his disciples have inherited his style. His prominent disciples included M. L. Vasanthakumari, Tanjavur S. Kalyanaraman, Trichur V Ramachandran and T. R. Balasubramanyam. An interesting incident occurred during a vocal concert by GNB with my guru T. Chowdiah on the violin, at Bidaram Krishnappa’s Sri Rama Mandiram in Mysore. GNB sang the Kalyani raga composition of Tyagaraja, Nidhichalasukhama preceded by beautiful raga elaboration and completed it with a fine niraval and swara phrases. The Secretary of the Mandiram then stood up and requested GNB to sing raga Kalyani. Surprised, GNB turned towards Chowdiah. GNB’s rendition of the raga and composition was very beautiful. The Secretary, ignorance personified, got up and thanked GNB for having sung raga Kalyani. Everyone there was amused and enjoyed the ignorance exhibited. Kaniyal Hari Prasad, a Kalakshetra alumnus and one of the most sought after dance vocalists in the field juggles his time as a teacher at Kalakshetra, dance vocalist, and kutcheri performer. Known for his meticulous preparation despite his hectic schedule, Hari Prasad works in tandem with the dancer to create a dance-music synergy. He speaks about his background in music, and his views on the need for artistes to work together to ensure that classicism in dance music is not lost. An artist who does not want to be labelled as only a ‘dance vocalist’, Hari Prasad aspires to continue his career as a cutcheri musician. I learnt music from Govinda Bhagavatar for 15 years in Kerala. Music was part of my family though no member was a professional musician. I had my music arangetram at Guruvayur along with my sister. After my pre-degree, I saw an advertisement about Kalakshetra and applied for admission to the music course. I was in Kalakshetra from 1988 to 1991 and learnt from Sri Salem Chellam Iyengar, Sri Vairamangalam Lakshminarayanan and Sri S. Rajaram. I was fortunate to have learnt compositions of vidwan M. Balamuralikrishna directly from the great musician. For the last few years I was training with Sri V. Subrahmanyam (who passed away in November 2013), a senior disciple of Semmangudi. Were you performing as a solo artiste then? How does it feel to straddle both worlds? I had been performing right from my Kerala days and while at Kalakshetra, I became a graded artiste with AIR-Chennai. Till today, I continue to perform kutcheris and sing for dance. I don’t feel the need to limit myself to either field. I do not find it difficult to switch back into kutcheri mode, so I am also active as a kutcheri singer. Of course rehearsals, teaching and continuous performances take a toll on the voice. So I am careful not to strain too much. My students understand. During peak performance time, I don’t sing with an open throat in class. You learn to manage over time. How did you start singing for dance? My work in the dance field began as I started singing for Kalakshetra dance-dramas and variety programmes organised by Kalakshetra. My first two dance-dramas were Koorma Avataram and Andal. I began singing for Sujatha Srinivasan who was performing regularly at that time. Since then, there has been no looking back. It has been 25 years now and I am happy to say that I have sung for senior dancers of all banis. Do dancers now prefer lighter ragas and demand less of classicism in the music sung for dance? Do singers tend to use voice modulation rather than focus on ways to bring emotion through the raga swaroopam? I do notice that difference. Dancers are searching for new ways to make their presentation attractive musically. I have my doubts about whether this is good. We don’t need to move away from our classical roots to appeal to audiences. This is something we need to address collectively. It is not just the dancers who are responsible for this trend. Musicians are contributing to it by taking this short cut. For example, to create a feeling of veeram, one can do it by choosing a raga and suitable sangatis to create the effect. (Hariprasad demonstrates Athana raga for a viruttam on Siva). Just because the dancer is emoting a situation of pathos, why should the singer also cry? Any situation can be created using raga bhava and not false dramatic modulation of voice. This is a result of dancers and musicians not equipping themselves musically. People assume that it is easier to sing for dance. What makes a good dance musician? That is why music is being compromised when it comes to dance. Unless a musician is well trained and understands all the nuances and foundation of Carnatic music, he can never be a good musician – for dance or otherwise. It is not just a question of having a good voice and learning songs from cassettes. One has to have a good sense of tala and maintain the correct kalapramanam even after the jati renditions. To add depth to a Bharatanatyam performance, you have to bring your musical sensibility to the stage. If not, the magic will never happen. Today there is a lot of demand for and hence opportunity for dance musicians. The responsibility lies largely with the musicians to ensure that the music they offer does not compromise the basic foundation of our classical system. In the last ten years, there have been soundly trained musicians singing for dance, which is very heartening. You seem to be more comfortable watching the dancer and repeating a line if necessary rather than doing a fixed set of repetitions. Over the years I have become accustomed to the mudras of Bharatanatyam and like visual clues to move to the next line. This gives the dancer and me scope to improvise and sing without being constricted always by the number of repetitions for a line. Of course the rapport one shares with the dancer is important. For example, I have been singing for Bragha Bessel for a long time now and we are each comfortable with the other’s working style. I always note down a cue or places where there is a doubt so that I am alert during the performance. These small habits help in synchronisation. Do you compose for dance? After graduating from Kalakashetra, I worked in Puducheri for sometime at the Bharatiyar Palkalai Koodam where I tuned many Bharatiar songs. After my return to Chennai, I joined Kalakshetra as a staff member. I composed music for dance productions for artistes outside. My Kalakshetra training has been a huge help in this respect. Having worked with dance-dramas from an early stage, I have an understanding of composing for productions. I find it easy to visualise what the dancer wants because of my years of experience working with dancers. I can anticipate what a Kalakshetra dancer or a Vazhuvoor trained dancer would require. I always discuss the scene-by-scene progression with the dancer and obtain her inputs before proceeding. Can you name some of the productions you have composed music for? 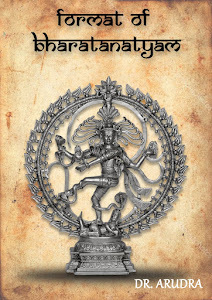 I have composed many productions for the Natyarangam thematic festivals like Kshetra Bharatham and Ramayana Bharatham. I have composed music for Smt. Roja Kannan, Smt. Jayanthi Subramaniam, Sri A. Lakshman, and Sri N. Srikanth, to name a few. Any experience in playback singing? Recently, I lent my voice to actor Jayaram in the movie ‘Swapaanam’ with music composed by Srivalsan J Menon. ‘Best vocal accompanist for dance’ from Sri Krishna Gana Sabha and the Music Academy, the title ‘Sri Kanchi Kamakoti Peetham Asthana Vidwan’ , ‘Sathya Gandharva Gana Sundaram’ by Bharatanjali Trust’ and ‘Natya Sangita Kalabharati’ by Bharat Kalachar are some of the honours that have come my way. I agreed to speak on this topic in a weak moment. True I am addicted to all three, though in my case, it should actually read Cricket, Music and Coffee, but the link can get tenuous at times. I’m going to try and make sense all the same. In the course of this speech, I’ll be relating a few stories from the past, some of them apocryphal. I hope the audience will not insist on proof for all the anecdotes. If they do, I’ll have to seek shelter behind Neville Cardus’s famous disclaimer when a critic accused him of inventing quotes he attributed to famous personalities. He said about one of them, “If he did not say so, then he ought to have said so.” Cardus, by the way, was a cricket and music critic of the highest order. Before I go on to speak of musicians interested in, even fanatical about, cricket, let me declare with pride that the founders of Sruti, the magazine I edit, were all cricketers of some quality. The founding editor, N Pattabhi Raman, was the youngest of three brothers. Despite being a polio victim, he was an active cricketer at the local level, while his brothers PN Sundaresan, my periappa, and PN Venkatraman, my father, both on the Sruti board, were stalwarts of Mylapore Recreation Club, famously engaged in Madras’s own War of the Roses it fought annually against Triplicane Cricket Club. While many of the Buchi Babu clan and distinguished sons of Madras like the diplomat GP represented MRC (run by CR Pattabhiraman, son of CP Ramaswami Iyer), TCC had more than its share of stars-like double international MJ Gopalan and fast bowler CR Rangachari. My cousin PS Narayanan, the publisher of Sruti, was a brilliant opening batsman of the 1960s and 1970s, who started with MRC and then went on to play for Jolly Rovers, the team sponsored by the Sanmar Group. Another MRC star, my father’s uncle PS Ramachandran who once took 10 for 18 in a single innings in the War of the Roses, was a member of the executive committee of The Music Academy. I am sure some of his colleagues in the committee were also club cricketers. Tamil Nadu has developed a unique model of sports promotion whereby cricketers and other sportspersons are offered employment and facilities to pursue their sport assured of financial security. They represent teams run by their employers in local and national tournaments. Among the business houses supporting sport in a big way are my employers The Sanmar Group, who have been promoting cricket for a record five decades. 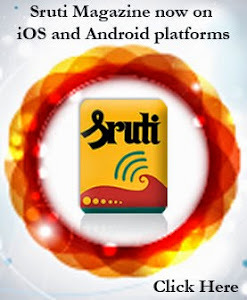 Its chairman Mr N Sankar is also the chairman of the Sruti Foundation, which runs Sruti magazine. An interesting intersection of cricket and music. Many Carnatic musicians are cricket fans. In the past, great masters like Madurai Mani Iyer were enthusiastic followers of the game. So is Mani Iyer’s nephew TV Sankaranarayanan, a Sangita Kalanidhi like his uncle, who played cricket while at Vivekananda College and follows the game closely. Mannargudi Eswaran, the mridanga vidwan has played cricket, too. On the distaff side, the younger of the Priya Sisters, Shanmukhapriya and Haripriya, represented her state in the national cricket competition. I have heard this fabulous story about Sangita Kalanidhi DK Jayaraman’s interest in the game. Jayaraman and his sishya Vijay Siva were on a concert visit-to Trivandrum if I remember right. The duo reached there on the morning of the concert, with the performance slated for the evening. There was no television where they were staying, and there was an ODI featuring India going on that day. DKJ was very keen to watch the match, and a reluctant Vijay Siva located a TV retail shop nearby. As often the practice, the shop should be showing the live telecast of the match, DKJ thought, and sent Vijay Siva on a reconnaissance mission to ascertain that it was indeed doing so. He later joined Vijay at the roadside and watched his favourite Tendulkar. Hugely embarrassed that his revered guru was watching cricket on the street, the disciple insisted they go back home. “The shopkeeper is going to switch off the TV set in our face,” he told his guru. And sure enough, that is exactly what happened. But DKJ was not deterred. “Let’s wait. The shopkeeper will have to switch it on,” he said, looking at the small crowd gathering in front of the TV set. “It won’t be good for his business, if he doesn’t.” He was right, the TV came on again, and DKJ watched Tendulkar to his heart’s content. I have had the pleasure of playing cricket with the celebrated singer Unnikrishnan as well as his father Dr. Radhakrishnan of Bunts Cricket Club. Unnikrishnan, a very good club cricketer, chose to concentrate on developing his considerable musical talent instead. Back in the 1990s, well into my forties, I was captaining Parrys Recreation Club in the third division league. Unni, an officer of the company was our star player. Midway through the season, I arranged a concert by Unni at my residence on a Sunday evening, only to discover that we were playing a match that day. On top of that, Unni also had a concert the previous evening at Nagercoil. Refusing to cancel the concert, Unni travelled by bus all night, and, getting off at Pallavaram, came straight to the English Electric ground where we were playing. We fielded in the hot sun in the morning, and I gave Unni the option of opening the innings (he was our usual no.3) and going home after his knock. Unfortunately, Unni was out for zero, but insisted on staying till the end of the match, which we won. He then went to his Royapettah home, showered and changed and came to my Kottivakkam home on the ECR for the concert, just half an hour later than the scheduled start. It turned out to be a perfect concert. (In his introductory remarks, Mr Muthiah said Cardus sometimes wrote on music in cricket terms. I happen to have a copy of something I wrote on an Unni concert in 2000, using cricketing analogies. With your permission, I’ll read out a part of the article (to be posted separately here). Sivakumar and Burma Shankar, were both my teammates in the TNCA cricket league in the sixties. Sivakumar as we all know is DK Pattammal’s son and a mridanga vidwan in his own right besides being the father of star vocalist Nityashree Mahadevan. Burma’s son, the hugely talented Sanjay Subrahmanyan is crazy about cricket too. The annual cricket match among Carnatic musicians is now a regular feature of their calendar. I happened to officiate as umpire in one of those some years ago. The intensity of the competition had to be seen to be believed. Chitravina Ravi Kiran, TM Krishna, Sanjay and Unni would give nothing away; there were a few other equally fierce competitors but I don’t remember their names. At least one musician cricketer gave me a withering look when I gave him out lbw, a decision that obviously did not satisfy him. That was when Vijay Siva whose idea it had been to invite me, must have had second thoughts about the wisdom of my appointment. Among today’s youngsters, Rithwik Raja, KV Gopalakrishnan, Guruprasad and Bharat Sundar are among the more fanatical participants. I may add that I have never again been asked to umpire in this gala affair, but I do hope I will get another chance in the future. Who knows, I may have the pleasure of giving a Sangita Kalanidhi out, provided the Music Academy relaxes the age criterion a bit in honouring its vidwans. Music lovers and musicians are few and far between among cricketers, but the few I know are diehard rasikas. SJ Kedarnath, an accomplished opening batsman of yesteryear, was a trained mridanga vidwan, who forsook music for cricket. He is a wonderful mimic who can imitate some of Carnatic music’s greats. His takeoff on MD Ramanathan is pretty impressive, but he can do an equally creditable Pattammal. His contemporary, the late Devendran, played the mridangam on the concert stage. Fast bowler Kalyanasundaram who once took a hat trick against Bombay is a dedicated rasika whose knowledge of music seems to be good enough for him to discuss its technical aspects with musicians and even advise them sometimes. Kalli’s good friend K Balaji, an elegant left hand batsman and a director of Kasturi & Sons, the publishers of the Hindu, is a regular concertgoer. His cousin and fellow director N Murali, a leftarm medium pacer for MRC ‘B’, a team run by the Hindu family, is now the President of the Music Academy. Former India wicketkeeper M O Srinivasan was well known in music circles as the founder of Dasanjali, a one-man crusade to teach a large number of school kids music especially of the bhajan or light classical variety. His son MO Parthasarathi was a Ranji and Duleep Trophy player, who bowled fastish leg breaks with a Paul Adams like action, except he was a right arm bowler. He was also a hard-hitting batsman, somewhat unorthodox, but extremely successful. A student of Hindustani vocal music, he has performed on the concert stage. Violinist S D Sridhar is the proud father of left-arm all rounder S Sriram who played ODIs for India. Sriram too learned the violin for a few years before the pull of cricket proved too powerful. Former Ranji trophy cricketer SVS Mani, an elegant batsman who played for Tamil Nadu and South Zone with considerable success in the sixties, and once fielded as a reserve against England, is the son of Kottamangalam Cheenu, that talented singer, who faded away after a stint in films. S Radhakrishnan played for several seasons for Parry’s Recreation Club in the league and Hindu Trophy. Once, a century by him in the league led to a newspaper report which said Radhakrishnan, the son of Semmangudi Srinivasier, had scored a century, thus revealing to the world at large his musical ancestry only friends had hitherto known about. Cricket is probably the only game in the world with a break for tea. Read coffee in Tamil country. We Tamils like our coffee at breakfast, lunch and tea, but it is a rare commodity at many cricket venues outside the south. I still remember the sheer look of terror on the face of the poor bearer who had made the mistake of serving tea to my senior and former Test captain S Venkataraghavan during a match somewhere beyond the Tamil Nadu-Andhra border, when Venkat gave him a tongue lashing. It was thanks to upright and fearless cricketers like Venkat that players from the south were taken seriously. Chepauk is perhaps the only cricket venue in India to cater to the needs of every visiting player-it could be chai, lassi or bagara baigan-with a smile. In contrast, I once asked for buttermilk at Mumbai’s Wankhede Stadium, only for the minor functionary (who of course hailed from no doubt distinguished Maratha lineage) to wither me with a look of utter contempt. “Not on the menu,” he said. Of course such experiences never deterred a hardy, self-respecting Tamil cricketer from asking for coffee at every opportunity. “Mr Ramnarayan must have his coffee.” The deep voice from behind me startled me. It was former India captain and my Hyderabad senior Tiger Pataudi’s. At matches at Hyderabad’s Lal Bahadur Stadium, I had this private contract with Francis, one of the bearers at the Fateh Maidan Club, where we had lunch during match days. He would quietly bring me coffee after the other lunchers had left for the dressing room. That afternoon, Pataudi had been kind enough to stay back to bring me some good news. (I started my first attempt at writing a cricket book some 25 years ago, with the very words Pataudi spoke to me). Speaking of Pataudi, I must share a couple of stories concerning him and Chennai with you. The first incident, in November 1975, would be unthinkable today. You will know why when I finish telling it to you. The Hyderabad cricket team, of which I was a member, was staying at Admiralty Hotel, Mandaveli (Incredibly the Indian hockey team, which went on to win the inaugural World Cup at Madras that month, was staying at the same hotel, where the autograph hunters ignored them completely to goggle at the cricket players). The day before our Ranji Trophy match against Tamil Nadu at Chepauk, Tiger, our wicket keeper Krishnamurti, and I went to the Marina cricket ground, where the Indian hockey team was playing ICF in a practice match. We sat under a tree in the western end of the ground and watched the match for about 45 minutes, then decided to go back to the hotel. As we left the ground and looked for a taxi, I made bold to ask Tiger, “Have you ever done a bus ride in India?” Saying no, he then sportingly agreed to take a bus to Foreshore Estate or thereabouts and then maybe an auto to Admiralty Hotel. Unfortunately, soon people on the street recognised and surrounded him. “Shall we do it some other time?” he said and we hailed a taxi. Today, such an episode would belong to the realm of fairy tales. Imagine a Test player walking down the street. The second Chennai-based Tiger story was quite funny. It happened at the hotel that same evening. Among the autograph hunters there was a man originally from Hyderabad, who asked Pataudi some awkward questions. Fan: Nawab Saab, is it true that you can’t play Venkat and Kumar? They say you are their bunny. Pataudi: (Mutters under his breath). Pataudi: (Aloud) Of course, Venkat and VV are very fine bowlers. I then politely show the visitor out. (Here I must stop to acknowledge the partial truth of our irritating visitor’s claim. My chairman N Sankar who’s here today once recalled in an article how Pataudi, completely beaten by the Kumar magic, doffed his cap to him in admiration). Pataudi (to our captain): Jai, I’m opening the innings tomorrow. Jaisimha: Like hell you will. Pataudi: I’m dead serious Jai. I’m going to score a double hundred. Bunny, indeed! Jaisimha: (By now mellow) Okay, Tiger, have it your way. You can open the innings tomorrow. The next morning, the atmosphere was electric as Jaisimha and Venkataraghavan went out to toss before a capacity crowd. Hyderabad won the toss and elected to bat. The mood in the Hyderabad dressing room was equally electric, with three batsmen padded up to open the innings. Pataudi was all set to go in first, to the surprise of the regular openers Abbas Ali Baig and Jayantilal. It took all of Jaisimha’s persuasive skills to get him to agree to bat at No.3, still three places ahead of his usual batting position. When his turn to bat came, Pataudi turned on the old magic. He started by playing some spanking shots against the brisk pace of Kalyanasundaram. He was equally severe on Venkataraghavan and debutant left arm spinner SK Patel, off whose bowling he was reprieved early. He raced to his hundred, playing strokes all round the wicket. Pataudi was not satisfied with a century that day. He took fresh guard and dug himself in, his defence studiedly elaborate, as if to give his thoughtless caviller of the previous day a message. When he finally returned to the pavilion to a tumultuous ovation, he had made 198. Just two short of his own prediction. None of us knew it then, but that was Pataudi’s last innings at Chepauk. At the end of that season, he announced his retirement from first class cricket. The brief I have from ABS requires me to trace the evolution of the different components of my topic. I suppose the title also refers to a certain commonality among them. Cricket, of course, came to Madras, thanks to our British masters, with GG Arbuthnot establishing Madras Cricket Club in 1946. Famous personalities like King and Partridge, both partners of the eponymous law firm, were presidents of the club. So was CP Johnstone, the first captain of Madras in the Ranji Trophy. The Presidency Match, the brainchild of Buchi Babu Nayudu, who started Madras United Club in response to the MCC practice of offering only a tree-shade to visiting Indian teams in place of a dressing room, could not be held in 1908 as scheduled, as Buchi Babu passed away that year. It resumed in 1915 as a result of the efforts of his lieutenant B Subramaniam, and continued till 1950. “The incursion of coffee in to India society was marked by a cultural anxiety which was matched only by the enthusiasm with which it was consumed.” A.R. Venkatachalapathy refers to an advertisement of 1947, which read, “Coffee is the elixir that drives away weariness. Coffee gives vigour and energy.” Some conservatives declared that coffee drinking was not required in our nation and that our ancestors never consumed coffee. Some even compared it to liquor. In spite of this coffee grew in popularity. An organ of the Women’s Indian Association argued: These days the enemies called tea and coffee have entered all homes, wreaking havoc. They are not food. They seem to stimulate cheer for a little while after drinking, but gradually subvert the vitality of the digestive organs, and when the body is weak, they create all sorts of unknown diseases. While there can be little doubt that cricket and coffee are colonial cousins, Carnatic music is clearly indigenous in origin, though concert music, as we know it today, even the way it is taught and transmitted, had its origins in British times. In the past ruled the oral tradition of guru and sishya, with the pupil going to live with his teacher, and learning more by osmosis than by structured lessons. With notating or recording on tape either still in the future or forbidden by the guru, your aural memory was the only way of recording what you learnt. Today, the tape recorder, writing down notations, and Skype have turned the learning process upside down. Two major aspects of the Carnatic cutcheri are imports from the West: 1. the violin as an indispensable part of it, and 2. the microphone. In fact, the very idea of concerts in a proscenium setting was a natural byproduct of the westernization brought about by British rule. Before that, music belonged to the temples and royal courts. Of course the violin too has its own colonial cousins like the viola, clarionet, mandolin, and so on. And the concert format took a quantum leap when for the first time in its history it was abridged and packaged in the last century to suit audiences lacking the attention span of their predecessors who could sit through five-hour concerts involving the expansive treatment of a handful of ragas. The ragam-tanam-pallavi, the central part of the concert, gave way to more and more songs (and therefore more and more ragas) being performed, with the RTP itself becoming optional. The present concert format known as the Ariyakudi formula, after the late Ariyakudi Ramanuja Iyengar who conceived it, is too well known to Carnatic music aficionados for me to have to explain it, and would take too much time to describe it to those unfamiliar with it. This formula has worked for more than 50 years, but could soon be undergoing major changes, with some of our leading musicians beginning to tinker with its basic structure. Today, the standard concert also coexists with experiments like fusion, jugalbandi, and thematic concerts. Carnatic music’s future seemed a little uncertain some 20 years ago, but tremendous support from the Indian diaspora has made it a thriving, vibrant movement, with several foreign-born Indians showing the dedication and promise to equal domestic talent. The result has been a dramatic change in the lifestyles of musicians. It is now seen as a viable career option, even though the early years are still very uncertain. We all know how cricket has evolved in the subcontinent. From a fairly somnolent pastime of spin doctors, maiden overs, straight drives and the defensive forward block, it first changed post-1983 (when India won the World Cup for the first time), into a faster, more aggressive game of fast bowling, acrobatic fielding, coloured clothing, floodlights and attacking batsmanship. In recent years, with the advent of T20 cricket, it has been completely transformed into a dramatic spectacle of thrills and spills, reverse sweeps, switch-hits, the dilscoop and cheerleaders. Cricket coaching and mentoring have undergone a seachange, with video technology a key component of the process of learning and course correction in the career of a cricketer. Several coaching academies, including specialised institutions like the MRF Pace Foundation have helped spread the game far and wide. We old timers however have fond memories of the BS Nets organised by the TNCA, where great coaches like AF Wensley and TS Worthington, both pros from England, and our own beloved AG Ram Singh and KS Kannan, made a huge impact on our cricket. And coffee? It is still an essential part of the lives of Carnartic musicians and cricketers of Chennai; only it has moved out of Udipi restaurants to new age coffee shops, where you are as likely to run into jetsetting, tech-savvy bhagavatars as the trendy cricketers of the new generation. What is the future of cricket, Carnatic music and coffee in Chennai? I had the pleasure of watching the recent Oval Test in London, where a friend asked me, “When did you last have a full house for a Test match in India?” I was happy to inform him that we continue to get excellent crowds for a Test match at Chepauk. Likewise, the December season of music, when music lovers from all corners of the planet descend here, is living proof that Carnatic music is alive and kicking, for all the popularity of AR Rahman and Beyonce. And as for coffee, you can still get a good old cup of digiri coffee side by side with the fancier Capuccinos and Lattes so popular today. Radha Burnier was the seventh president of the Theosophical Society. She was born on 15 November 1923 and passed away on 31 October 2013 in Chennai. She was the daughter of N. Sriram and niece of Rukmini Devi. Radha had been more than a sister to me since I knew her from the age of four, and we were neighbours. I was comforted a bit as she looked very peaceful in death. I also visited Radha just a couple of days before she passed on. She was fully aware that her end was nearing, and told me she was not going to the Indo-Pacific Theosophical Conference in Bali because she was coming to her end. “They will probably announce my death at the conference,” she told me. I just smiled and kept quiet. She passed away at 9 pm in the night and the vice president of the Theosophical Society and the International Secretary who were about to board the plane for Bali, returned to organise things. Radha had her early schooling in the National Girls High School founded by Annie Besant. Later, when the Besant Memorial School was started by Dr. G.S. Arundale, she joined it and completed her SSLC. After this she joined Kalakshetra as a dance student. Leelavati was the first student and Radha was the second. Leelavati and Radha danced in between Rukmini Devi’s performances when she changed costumes at least twice. Radha was a powerful dancer who could execute adavus with precision in the faster movements too. Leelavati was a graceful dancer, and they complemented each other. Radha had her arangetram at the Kalakshetra theatre, and was the first student to receive the Kalakshetra diploma. Later she continued her university education in Gwalior and Benares. She acted and danced in the film called The River produced by Jean Renoir in 1948. She married Raymond Burnier who was deeply interested in Indian culture. She studied Sanskrit and this helped her in guiding the work of the Adyar Library and its publications when she was its Director for 20 years. She became the General Secretary of the Indian section of the library and worked really hard when it was facing trials; its Indian section is probably the largest in the world. She was awarded a doctorate by the Banaras Hindu University for her contributions. Radha was a good speaker and impressed her listeners. Her writings on philosophical and other matters inspired the readers. Because of her depth of knowledge and understanding of various subjects, she became the International President of the Theosophical Society in 1980. She traveled widely, giving lectures and organising. She was connected with Krishnamurti Foundation India. J. Krishnamurti was fond of her and visited her almost daily when he was in Madras. They would take walks on the Adyar seashore discussing various matters. Radha practised simple living and high thinking. She helped the needy and many welfare organisations unostentatiously. She breathed her last in the Parsi quarters in the Theosophical Society estate where she was born and lived. She will be remembered with love and gratitude by those who were fortunate to know her. I still clearly remember the day almost ten years ago (1 May 2004), when our stage manager Radha Ganesan held Lakshmi Shankar by the hand and escorted her from the green room to the makeshift backstage area at the Great Hall, Tangeman University Center, University of Cincinnati, where a 120-member mixed choir and a 25-piece orchestra stood in readiness to sing along with her, my newly written music score of the oratorio ‘Shanti– A Journey of Peace’ in its premiere. As the sutradhar, I narrated the script from the control room and ran through the audience to the backstage area to sing Navabharatam with the guest artiste Lakshmi Shankar. Lakshmi’s alap in desh in the high sruti of C sharp rang loud and clear. At the conclusion of the alap, she gently touched my hand and cued me to sing the opening phrase of the Tamil composition. Several thoughts ran through my head. I was standing next to a grand old lady just ten years younger than my grandmother. She was from the family of India’s best known musician in the western hemisphere. Her name and voice had flashed through the title-credits of the Academy Award winning film ‘Gandhi’ that I had watched in India in awe in 1983. This lady was a conductor who had directed some of Ravi Shankar’s ensembles and had worked with George Harrison and others. She was a Hindustani musician with an array of recordings and concerts and a large fan following, a Carnatic musician, a polyglot, an accomplished dancer and more. She had interacted with such great personalities as Jawaharlal Nehru, S. Balachander, S. Rajam, MS Subbulakshmi, Pandit Ratanjankar, Madan Mohan (composer of film music)– just to name a few. I woke up from my reverie, sang the song with her and ran back to the control room to monitor the rest of the production. It was this opportunity to collaborate with her that led to several musical sessions and discussions with Lakshmi Shankar. It was during one such session that it occurred to me that Lakshmi’s story needed to be told. Some seven years after the thought first struck me, I spoke with Sruti editor Ramnarayan regarding the idea and actually sat down to compile the information that I had gleaned from her and documented during my music lessons and long phone conversations with her. Lakshmi Shankar first made a name for herself in Bharatanatyam and contemporary classical Indian dance and on the tinsel screen and then rose to great heights as a renowned Hindustani musician. Lakshmi is held in high regard in Hindustani music circles and has etched a name for herself in her own Patiala gharana-entrenched style of raga exposition. Her solo discography is a long list of albums featuring renditions in such ragas as dhani, jog and more as well as a litany of bhajans tuned and rendered soulfully. In addition, Lakshmi specialises in thumris and lighter compositions in various Indian languages. Yet, it is interesting to note that her journey into the the music world began in the realm of Carnatic music particularly with the music of Muthuswami Dikshitar. I had been introduced to Lakshmi through her good friends Sonal Sanghvi and Dr Vijay Sanghvi as their ‘beloved Guru’; I met her for the first time in 1996 when she had attended the premiere of my choral musical theater production ‘The Blue Jewel’ in Cincinnati. I even attempted to speak with her in Hindi, completely unaware of her Tamil origins. It was at Sonalben’s daughter’s wedding in 2003 that she complimented me on my Hindustani violin playing and spoke with me in Tamil, even while being surrounded by Gujarati and Marathi speaking guests. ‘Tamizhlapesa chance kedacha vidamatten’, she had said with a grin, sitting in the midst of her Hindustani music fans and students. Lakshmi’s father RV Sastri hailed from Pudukkottai and was an established lawyer in Madras. Her mother Visalakshi was from Palakkad. Her sister is the well known danseuse Kamala Sastri Chakravorty. TL Venkatrama Iyer, a friend of RV Sastri used to make frequent stops at the house to teach Dikshitar’s compositions to Visalakshi. The young Lakshmi grew up listening to these and could reproduce everything that she heard. She sang Tyagaraja palayasumam and Swaminatha paripalayasumam in vilambakalam and exclaimed, ‘This is how TL VenkataramaIyer used to sing them in the 1930s’. The cutcheri rendition of these compositions had already been altered in Lakshmi’s early years. ‘There is absolutely no connection between how it is rendered now and how I learned it’, she said. She further quoted her mother’s words of condemnation of maestro GNB’s reduction of this vilambakala kriti into a madhyamakala rendition with ‘odukkal’ that suited his style. She went on to add that her mother was a great admirer of Veena Dhanammal, and encouraged Brinda and Mukta. Lakshmi Shankar was conversant with several of Dikshitar’s kritis; she referrred to the collection Swaminatha, Tyagarajapalaya, Sri Sarasvati, Mamava Minakshi and Sri Kamalambike as the ‘pancharatna kritis’ of Dikshitar (as told to her by TLV). She recalled her mother learning Budhamasrayami, Brhaspate, some of the Navavarana kritis, Varalakshmim (Saurashtram), Pahimam ratnachala and Kumaraswaminam from TLV. ‘TLV did not have a great voice; he was not an expressive singer either. But his repertoire was vast and he was greatly concerned about the compositions and their lyrics. Amma used to learn from him and I would reproduce what she learned. In fact, I used to be able to reproduce anything I heard during that stage. TLV was a close friend of my father’. Lakshmi Shankar was always a living link between the northern and southern Indian performance traditions. She sang in the southern idiom in the mega dance productions staged by California-based Viji Prakash. She had enjoyed cutcheris in Madras in her early years; GNB was the rage during her time; her mother was a fan of Maharajapuram Viswanatha Iyer and she herself a fan of Madurai Mani Iyer. She had great regard for Maharajapuram Santhanam in the 1980s, particularly for his janaranjakatvam. 'I was completely knocked out by Santhanam’, she said. She had great words of praise for contemporary vocalists TM Krishna and Sanjay Subrahmanyan. 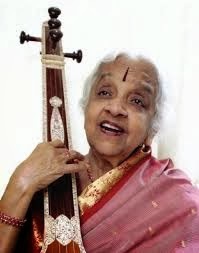 In her later years, Lakshmi Shankar was a regular visitor to sabhas during the Chennai music season, during her visits to Chennai in the winter months, when she stayed with her sister Kamala in her flat in Indira Nagar. It was during one of these concerts in Chennai that TM Krishna smiled at her from the dais and launched into Hamsadhwani to render the bhajan ‘Jaya Jayati’ tuned and popularised by her. ‘I was pleasantly surprised’, recounted Lakshmi of this experience. Jaya Jayati – a delightful soundscape of lyrics in Hamsadhwani is just an example of the numerous bhajans tuned, rendered and popularised by her. Lakshmi Shankar’s Chennai visits ceased after her sister moved out of her flat into the outskirts of Chennai. Her Hindustani music concerts drew a wide range of audiences. The Hindustani music community in Cincinnati used to invite her to reside in the city and teach music to a number of her fans. Lakshmi Shankar obliged generously, related personally with each of her students and her stays here would conclude with her performance. Dr Vijay and Sonal Sanghvi were her hosts during each of her visits. When Sonal Sanghvi succumbed young in 2004 to cancer, Lakshmi Shankar was deeply saddened. ‘I have lost a daughter for a second time’, she exclaimed. Forgotten in the midst of her stature as an established singer in the Hindustani idiom is the fact that she had been an accomplished dancer in her early years. ‘I remember her prowess. Lakshmi was very talented’, recollected S. Rajam in a conversation with me in July 2009, speaking of Balasaraswati and Lakshmi Shankar in the same breath. After her arangetram she was invited by Uday Shankar to join his Almora cultural centre, where her eyes were opened to a world of other dance forms and to Uday’s borderless approach to ‘movement’. ‘My mother was very progressive and she encouraged me to go to Almora; she even came with me’, recollected Lakshmi. Those were some of her most memorable years. Lakshmi married Rajendra Shankar, brother of Uday Shankar and became a daughter in law of the Shankar family. She holds brother in law Ravi Shankar in the highest regard as her ‘guru’ and a kindred soul. Each night, the brothers and their wives would gather after dinner to discuss the script, music and choreography/presentation of the various acts of Jawaharlal Nehru’s book ‘The Discovery of India’. ‘Those were some of the most magical moments’, recollected Lakshmi – of the creative energy that would pour forth in those discussions. She played multiple roles in the ballet and has the program notes from this production among treasured possessions. Prime Minister Nehru witnessed one of these performances. During the final performance, Lakshmi was diagnosed with pleurisy; she danced with a raging fever and literally collapsed off stage. She recovered from her illness, never to dance again. If dance was one dimension of Lakshmi Shankar’s artistic personality, acting in films was another. She played the role of Sant Tulsi Das’s consort Ratna in the film Bhakta Tulsi Das. BS Ranga from Bangalore, a cameraman, raised the finances to produce this picture; the financier was Tamilnadu Talkies Soundararajan. Raja Iyengar (brother of BS Ranga) was to play the role of Tulasidas. The original music director of the film was S. Balachander. All four major ‘ratnas’ of Tulsidas were recreated in Tamil by Papanasam Sivan and tuned as modern compositions. One of the songs sung by Lakshmi Shankar was Karunanidhipol katchialippadum kapatanatakama. This song ended up sounding very western. The producer did not like the compositions; he contacted Anil Biswas to retune the compositions. Lakshmi Shankar’s song came out as a 78 RPM record. Neither the film nor the recordings are available now. How did Lakshmi Shankar become a Hindustani musician? Rendered unable to dance, Lakshmi Shankar in Bombay considered a career in Carnatic music; however at the insistence of Ravishankar and film music director Madan Mohan, she came under the tutelage of Ustad Abdul Rehman Khan. ‘When I met him, I knew that I had found my guru’, she says. All that she learned for a whole year, was raga Todi. All the way from sargam through paltas through alap, her life was nothing other than the raga. It was the Ustad’s insistence that the distinctions that she developed in Todi would extend to any raga that she sang. Her mastery of the idiom grew, until the point where thanks to miscommunication and gossip, the relationship with her guru soured. 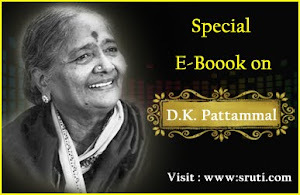 Prof BR Deodhar (a student of Pandit Vishnu Narayan Bhatkhande) offered to continue to teach her and she developed her own signature style of singing – marked by an exceedingly sweet and expressive voice. ‘For a South Indian trying to make a mark in Hindustani music, the challenges were many’ recollects Lakshmi Shankar. ‘Mistakes would always be spotted first’. It was over the years, that she gained a steady reputation for her soulful rendition of bhajans, thumris and other compositions. She was fluent in Hindi, Gujarati, Marathi, Bengali and other languages and her renditions won her fans all over India. 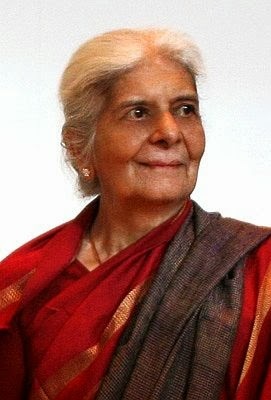 Lakshmi Shankar regarded Ravi Shankar as a major musical contributor to her life. ‘What has he not accomplished’? she asked. ‘He completely captured the world by his music, whether it was classical or folk or western or exploratory music. There was nothing that he left out. He was always a pioneer in everything. Yet, he was very humble. No one knew Carnatic music deeply as he did. He held the pedagogical tradition in Carnatic music in the highest regard, especially given the diversity in teaching techniques (across gharanas) in Hindustani music. He however rued the lack of emphasis on voice culture in Carnatic music’. One of Lakshmi Shankar’s greatest adventures in music was the ‘Music festival from India’ – a project conceived and executed by Ravi Shankar and George Harrison. This project featured many stalwarts of Indian music in their youth: HariprasadChaurasia, Shivkumar Sharma, L Subramanian, Vijayashree, Kamala Chakravarti, TV Gopalakrishnan, Sultan Khan and Alla Rakha – literally a who’s who of Indian music. The principal sound engineer on the project was Kumar, Lakshmi Shankar’s son. Lakshmi was the featured vocalist whose sublime voice covered three octaves with ease. She was more than the featured vocalist on this project. Rangasami Parthasarathi of Oriental Records spoke of the manner in which Lakshmi Shankar served as the intermediary between the maestro and the musicians in interpreting and teaching the music score. ‘Raviji used to come up with ideas spontaneously and I used to notate them’, recollected Lakshmi Shankar. Indeed, when Ravi Shankar took ill during the tour, it was Lakshmi Shankar who took over the responsibility of conducting this ensemble. A photograph of all the participants decorates one of the walls in Lakshmi’s beautiful Simi Valley home. I enjoyed learning from Lakshmi. An electronic tanpura filled up her music room, where she sat on a divan. She launched into Jog, Dhani and other ragas and explained their nuances. She emphasised the need to start the alap in the tara sthayi if it preceded a bhajan. ‘It is a pukar, you are crying out to the divine’, she illustrated. Her explanations were full of narratives on the handling of various ragas by maestros and of her encounters with various music personalities. There was humour; there were many stories from the past. She remembered Palghat Mani Iyer with fondness. He told her on one occasion that he was going to play for DK Pattammal. ‘Pattamma, Dikshitar cutcheri izhukkum, raattiri late aagum’, he joked. There were other humorous stories of the struggles of a shehnai player in the Ravishankar ensemble. Then there were musicological references to the Adi Basant raga in the dhamar Khelat Ghanshyam in the Music Festival project. There were references to the musical genius of TV Gopalakrishnan. She played to me an unpublished recording of a khayal (Sajanva) in Kedar sung by her and TVG as part of Ravi Shankar’s project. Her music was certainly not uni-dimensional. She recorded for films. She sang for vaggeyakaras like Ratanjankar. As recently as Dec 2013, when I discussed the dhrupads of Swati Tirunal with her, in preparation for my lecture demonstration at the Music Academy, she exclaimed, ‘Ratanjankar tuned them all; he invited me to sing them’. She listened intently to my singing the ragamala dhrupad and gave me a few suggestions. To me, memories of working with her on my oratorio ‘Shanti – A Journey of Peace’ are priceless. She travelled all the way from California to Cincinnati at the age of 78 to sing for this production. A rousing ovation from the 150-member choir greeted her as she came to see one of our rehearsals in Cincinnati. I was amazed by her commitment to the project; I was thrilled at her writing down the sargam and the lyrics in Tamil as I sang and demonstrated them. She insisted on staying backstage and singing seated on a chair. Her alap interspersed with the chants for peace rang clear in the audience as the mixed choir sang my arrangement of the Shanti Path from the Yajurveda. She was full of encouragement for the oratorio and described it as ‘a breathtaking experience’. I had invited her to the College Conservatory of Music to have a dialogue with composition major students. In what turned out to be a memorable session she talked in impeccable English of the recording experience for the film ‘Gandhi’, her association with Ravi Shankar, George Harrison and others (just a day before the premiere of Shanti in Cincinnati in 2004). The human side of her was that of a full fledged Tamil speaking grandmother . She insisted on spoonfeeding my four-year old daughter Sukhita back in 2004. During Vinayaka Chaturthi in 2006, she served me kozhukkattais she had personally made. She was full of warmth when our family visited her home in 2008, when she introduced us to Sukanya Shankar and Ravi Shankar and later on followed up with us to see how our visit to Raviji’s house went. The childlike element in her was the most precious. I once dropped her off at the Los Angeles airport and went to return a rented car prior to boarding my flight. I went to check on her well being in her terminal, knowing that there was a full hour left before her flight would depart. I didn’t find her at the gate and was concerned. Soon enough I saw her saree clad octogenarian form walking out of a nearby McDonalds; she gave me a mischievous smile as I noticed her smacking her lips - an ice cream cone in her hand! Ramnarayan and I had had a conversation at the Music Academy canteen about her and the need to write this article as soon as possible. Her end came before I finished writing this. It is unfortunate that apart from Gowri Ramnarayan’s article and another story in India West, the media has not marked her passing with an outpouring of reports. It is also unfortunate that the Government of India has not honoured such a musical being with Padma and other awards. Lakshmi Shankar did not care about all that. She was beyond awards and recognition. What is the message from her that still resonates with me? “God gives certain talents to some people; he also gives them the opportunity to do big things. One should never miss out on these opportunities”. Lakshmi Shankar’s music lives through her recordings. I will miss speaking with her in a mixture of English and Tamil and her jokes in Hindi or Bengali, like one regarding the inadvertent presence of ‘Shri’ in ‘Puryadhanashri’ in the rendition of leading singers: ‘Puryadhanashri mein ‘Shri’ hai na?’ and above all her cheerful sprit and her warmth and blessings during Vijaya Dasami each year.